My first book, Journey with Jay, was released in 2000 as a non-fiction inspirational book. I don't consider myself an author, but rather a "story-teller" of events. Working with Jay Basselin was a once in a lifetime opportunity, and when asked by Mary Basselin, Jay's wife, to tell their incredible story, I really had no choice but to comply. In obedience, I set out to chronicle Jay's miraculous recovery from a catastrophic brain injury. There were no plans for additional books. However, seven years later, I found myself restless in the middle of the night, and spent fifteen timeless minutes watching the verse to "Giving Me Away" evolve on my computer screen. A long believer that our wayward world has succumbed to greed and a "me mentality", I embraced the verse and set out to find an illustrator. My joy was complete when my oldest daughter, Lindsay Brindley, a gifted writer, agreed to edit our books, and my youngest daughter, Kendra Peine, created beautiful artwork in 14 anointed days. Ashway's children's release, "Child of My Heart" has already brought great excitement and satisfaction to the Peine family. It is dedicated to the singer/songwriter Steven Curtis Chapman's deceased daughter, Maria Sue Chapman. Maria Sue was Chapman's adopted daughter from China. Our precious books are now in orphanages around the world. 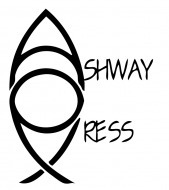 Our goal at Ashway Press is to invest in the next generation and change one heart at a time. We seek only to make the world we live in a better place for the children of tomorrow, and to honor our King and Savior, Jesus.